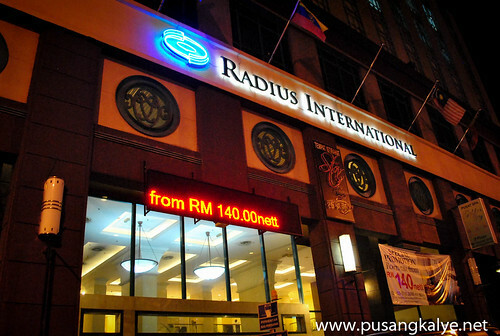 Checked in at RADIUS INTERNATIONAL HOTEL along Bukit Bintang with six other bloggers from the Philippines and an officer of Airphil Express Sir Jojo Ayson.Shared room 1509 with a fellow blogger Edgar Allan Zeta Yap of http://www.eazytraveler.com/.I was too tired to even bother to scrutinize the place but was able to snap a few photos for you guys. On the 2nd night,I am now alone in the room as all other bloggers went out to different destinations as part of the KL Blogger Challenge while I decided to feel KL more.That said,I have more time to review the accommodation.Noticed on the first photo that room rates starts at 140RM nett. One little inconvenience if I may add, their sockets are not international.So you have to go to the concierge if you have no adapter with you and deposit 10MR to borrow one.And they run out of available supply at time.I was lucky this morning I got the last piece while my fellow blogger had to wait for an available adapter. If you are the picky type,RADIUS INTERNATIONAL HOTEL is not for you.But given the price range of the accommodation,I would say it is in itself a good deal.Cable tv,hot and cold shower,soft bed---although the pillows kinda smell a bit weird for me.But I guess one of the strong points of the hotel is the location.It is a few blocks away from the main road of Bukit Bintang which the happening place in Kuala Lumpur.You are near all the hippest pubs and restos and massage shops and cheap street food near Chinatown.Being here is being at the center of the action. 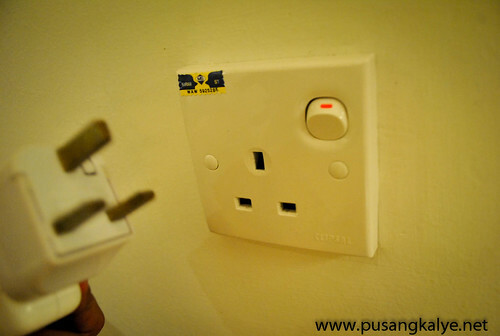 Malaysia is following the UK standard and that explains the socket. :) even the road, you are using the left lane instead of right when you are in Manila. You can go out and walk to Jalan Alor (there are lot of food shops there, mura lang) and also, there is a gadget mall around the area - look for Low Yat Plaza, its near Sungei Wang. I think those kind of sockets are the standard na yata. When I was in SG ganyan din. Even in the rooms of Makati Medical Center, its like that. And you have to "buy" an adapter for P20.00. "Buy" kasi the nurse will tell you na you can bring the adapter na with you when you goes out of the hospital. 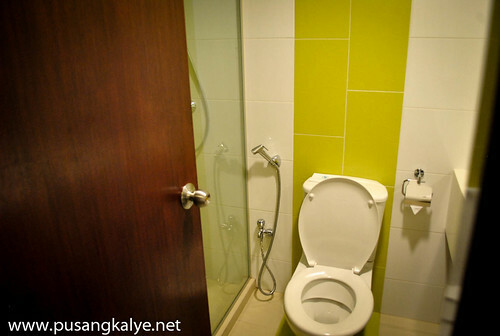 ok, me looking for hotel kung saan mas mura, eto pala.. dito pala,.. with breakfast na ba or room rate only? ok, me looking for hotel na ok,,eto pala,..dito pala. !with breakfast na ba ung myr140 o room lang?